We work on amazing brands, have a place in the FTSE 100 and more opportunities around the world than ever before. Yet we haven’t lost our entrepreneurial spirit and we’re constantly creating new tech, new products and new ideas. The pace of change is exhilarating. And the exposure to senior managers and different working cultures is non-stop. ‘What’s next?’ It’s our favourite question. We’re always looking for ways to be better, to be different, to explore new possibilities. When priorities change in a heartbeat, we adapt. When we’re up against it, we pull together as a team. And when we’re solving problems, we come up with bold new ideas. What does it take to be successful at Betfair Romania Development? The quick thinking, adaptable and tenacious have real success here. If you can dream up bold new ideas and make them happen, you’ll go far. And without traditional corporate constraints, your future can be what you make it. 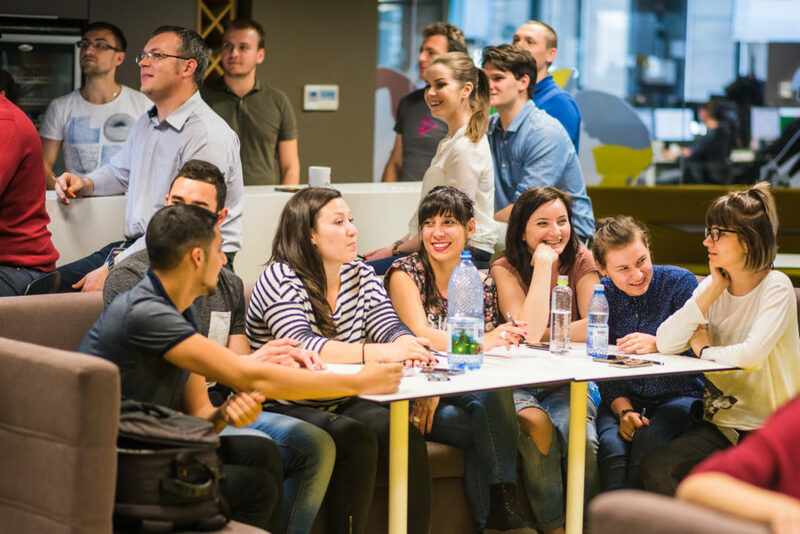 What does diversity mean at Betfair Romania Development? Talent doesn’t come from just one place. We know that diverse teams outperform ones where everyone’s the same. Plus they’re more fun. And more interesting. That’s why we’ve got a whole range of initiatives in place to make sure we have a really inspiring mix of people working at Betfair Romania Development. And when it comes to nationality, our team’s particualrly diverse, with representatives from all over Europe. If you’re someone who’s driven, adaptable and thrives on challenging opportunities, you’ll be sure to have a great career. This isn’t a place where career paths are set in stone. We will empower you to succeed, exposing you to new areas, ideas and opportunities across the business. We provide a learning framework and invest in leading development programs. But it’s up to you to own your future. In such a fast-paced environment, drive and adaptability are richly rewarded.